According to sales figures released earlier today by Major Nelson, some of you went a little bit crazy on Black Friday. 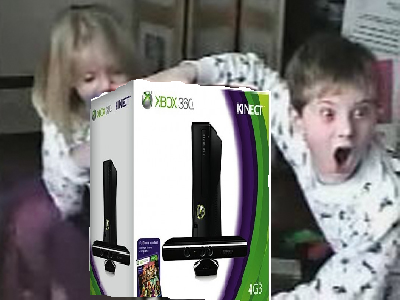 Over 960,000 Xbox 360s were sold last week, including 800,000 on Black Friday itself. In addition, over 750,000 Kinects were sold, although this number includes both bundled and stand-alone hardware. If you think those numbers are impressive, keep in mind that these were in the US alone and don’t even include Cyber Monday numbers. All in all, not a bad week for our friends over at Microsoft. We’re looking forward to all 960,000 of our new readers. If you’re one of them, feel free to leave a message in the comments if you have any questions about the site, XBLA, Xbox 360, or the meaning of life. We don’t bite, and we love talking! The tricky part is getting us to stop.